Riding a motorcycle is velocity like poetry, eternal moments pass by in the saddle escaping the stuttering flow of time and space and purpose. We course on two wheels in the flight of freed spirit to avoid routine and attachment. Everyone should ride a motorcycle because of the simple reason that they provide the same satisfaction to all. Although our society has linked motorcycling with males, riding is beyond discrimination. Ask any number of male or female bike riders in India, they are all thrilled by the surreal experience which journey on a motorcycle provides. Despite being the second largest market for motorcycles in the world, there is a yawning gap between male and female bike riders in India. This gap is due to our society which does not see women venturing past the protective shield of their homes and exploring places. We are still the generation who gets awestruck when we see a female motorcycle rider on Indian roads, a lot of it has to do with how motorcycles have been portrayed to us and how our society has enabled stereotypes, which makes it difficult for an Indian woman to approach a bike. But the times are changing and changing for good, these days a lot of female bike riders in India are coming up and actively riding motorcycles, thereby promoting riding amongst females. 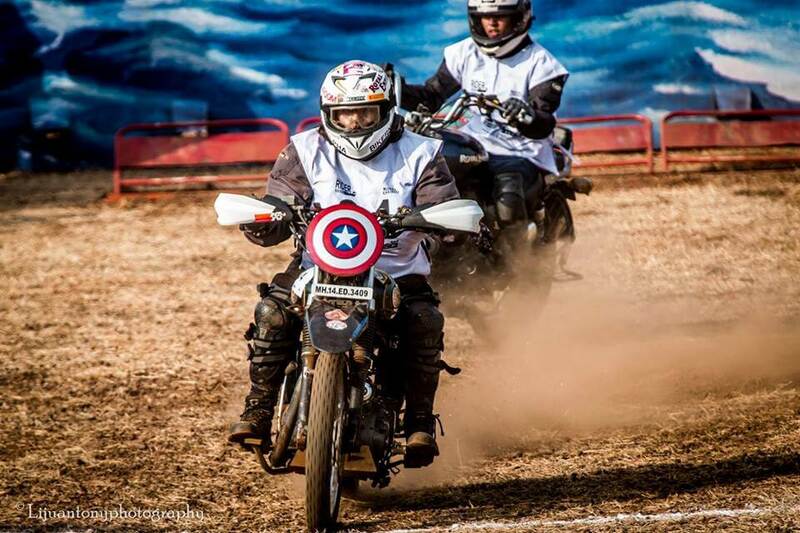 In short, the future of Indian motorcycling seems to be in good hands. 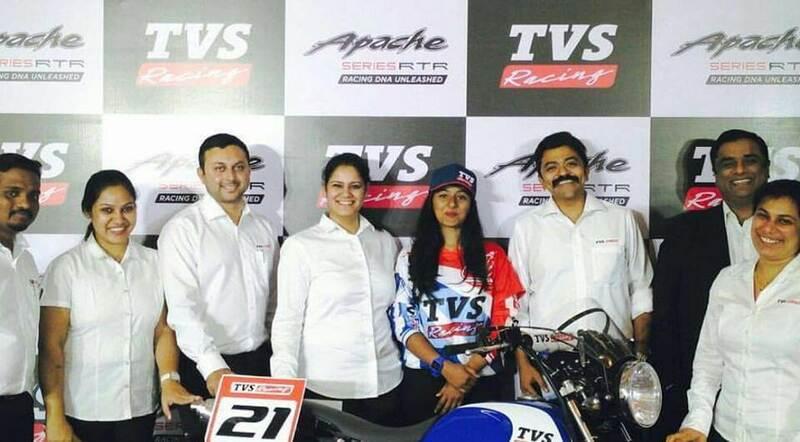 I would personally like to appreciate the efforts of TVS Motor company who are continually working on improving motorsports in India and inviting female bike riders in India to participate in races and rallies. Their efforts are encouraging more and more females to choose motorsports as their career. For this article, I approached a few female riders who are inspiring others to find their passion and pursue it mercilessly. In addition to that, I asked these female bike riders a few exciting questions so that readers can get an insight into their lives and know how their journey started. 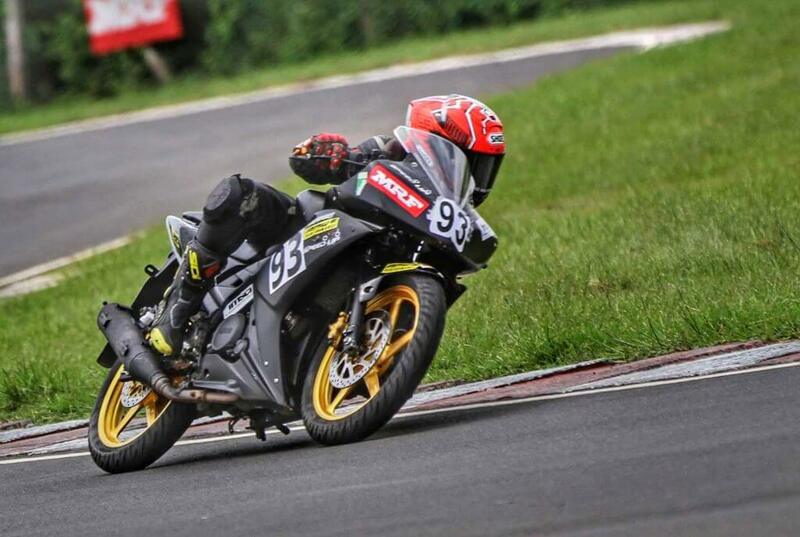 A professional motorcyclist from Dewas, Madhya Pradesh, Kalyani Potekar was awarded as “Outstanding Woman in Motorsports” by FMSCI (Federation of Motor Sports Clubs of India). 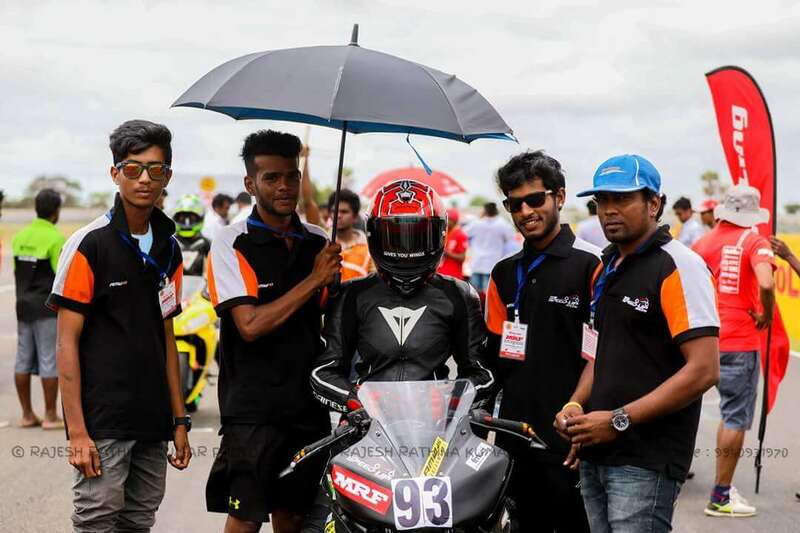 Kalyani has participated in various motorsports event across the country like Honda National Championship, Indian National Motorcycle Racing Championship (INMRC) and apart from achieving the motorcycling glory, Kalyani enjoys photography and indulges in adventure sports like paragliding, skiing, and mountaineering. 1) How did you discover your passion for Motorcycling and who supported you the most in your endeavor? “Well! It all began at home. When I saw my father battling it out on a dirt track in a motocross race. My journey started from National MRF Nylogrip Motocross Championship, December 1993 at Ooty. I was hardly a month old baby in a cradle on the track with my dad. So, Racing is in my genes! 2) Do you think more riders should join riding schools? What future do you see for motorsports in India? “Yes of course! I always promote safety. I would suggest riders must join riding schools and learn necessary riding skills which will definitely help them to ride safely on the roads. 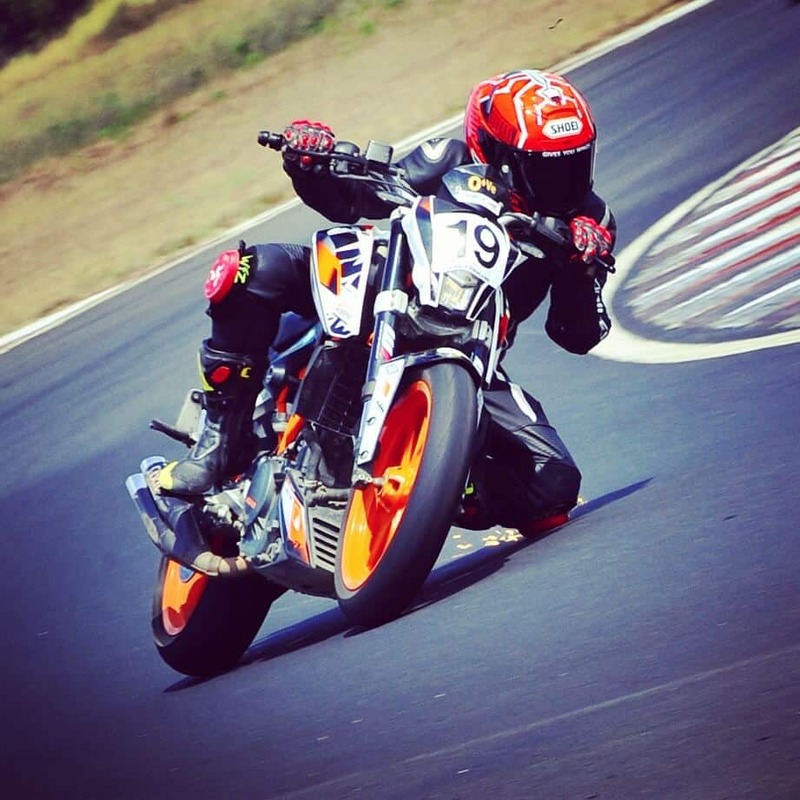 We have excellent bike racing academy in India like California Superbike School, Apex racing academy, Honda ten10, and TVS racing school. The satisfaction which you get on a track is unmatched. For the female bike riders in India, there is a new world awaiting. I’m glad India is now focusing on giving the same platform to women as men. Special thanks to FMSCI. I wish more and more girls make their way to motorsports. 3) Can you tell us about the most cherished moments that you came across in your life because of motorcycling? “I always had a dream of representing India at the International level and compete with the boys. This dream turned into reality when I was chosen for FIM Asia Cup of Road Racing to represent FMSCI at Thailand and Taiwan Race Track in Oct 2017. 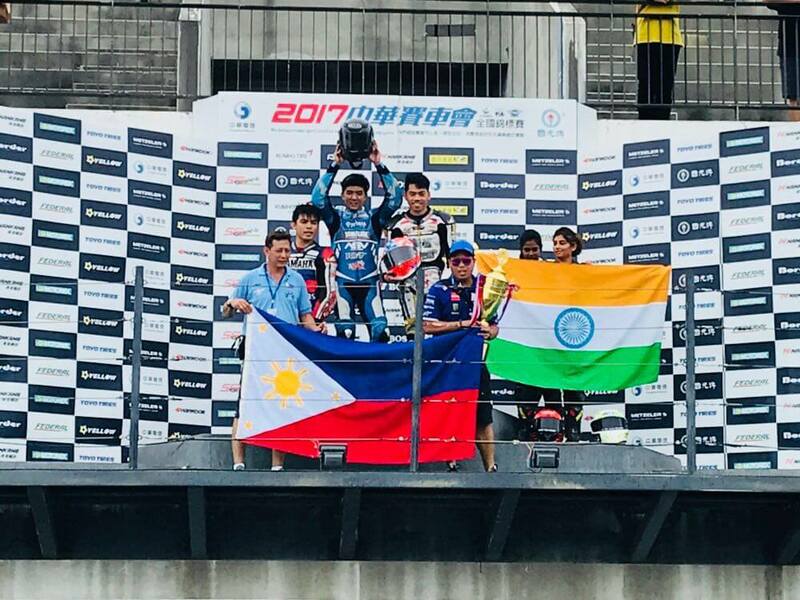 Not only I represented India but also secured the 3rd place at the same racing event. 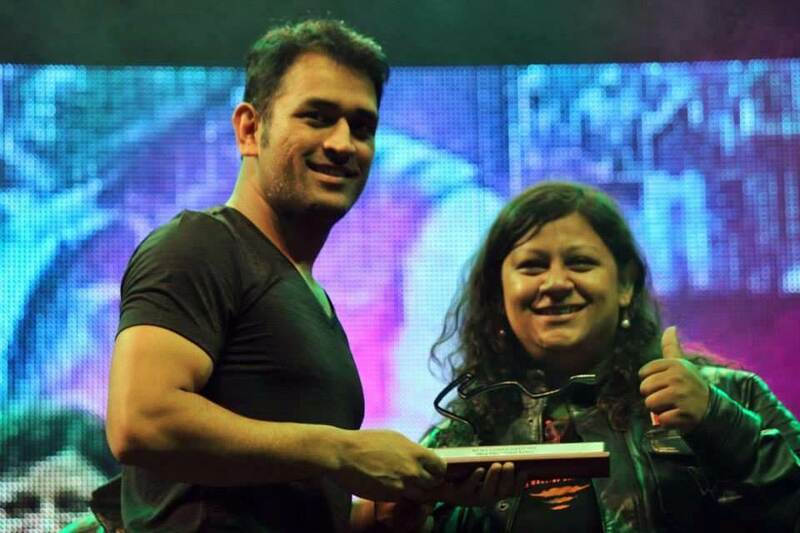 Recently, FMSCI honored me with “Outstanding woman in motorsports” award. And that’s something to be more proud of. 4) Which is your favorite motorcycle and what advice would you give to female bike riders in India who want to begin riding, which bike they should begin with? I love big bikes. And currently, own a Triumph Street Triple. My wish though has always been to have a KTM Superduke 1290 and a BMW S1000RR in my garage. For the female bike riders in India, please stop getting influenced by the “wannabees” on social media platforms. Safety always comes first. As I said earlier, we do have proper riding schools for lady bike riders in India where you are trained under professional instructors under all safety measures. Glad to share that Federation of Motorsports Club of India (FMSCI) is promoting female bike riders in India. So girls here is your chance to learn and turn your dreams into reality. 5) What other passions do you have in your life apart from motorcycling and according to you, how important it is for a person to have passions in life? “Apart from motorcycle racing, I love riding horses. I have represented central India in many equestrian championships. Back in 2011, I was awarded “Best Rider India” in New Delhi. Also, I have a passion for photography and adventure sports. Passion. It is as essential as breathing! Without a passion, there is no life. Desire is a feeling and is something that makes you feel alive! It is a responsibility which tells you to keep going. Passion helps us to conquer our fears. It makes us confident and determined. So if you wanna live your life to the fullest, you have to “Be Passionate”! 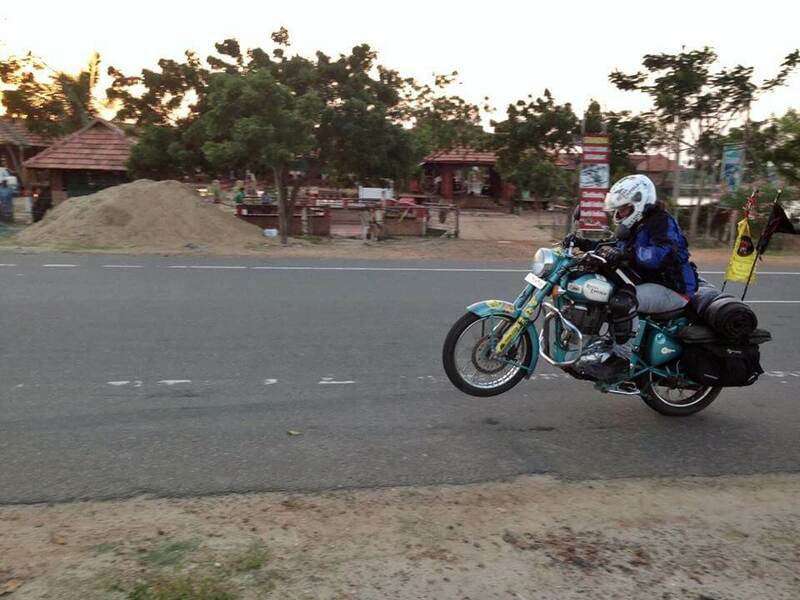 She has been touring all over the country along with other female bike riders in India who are members of The Bikerni. 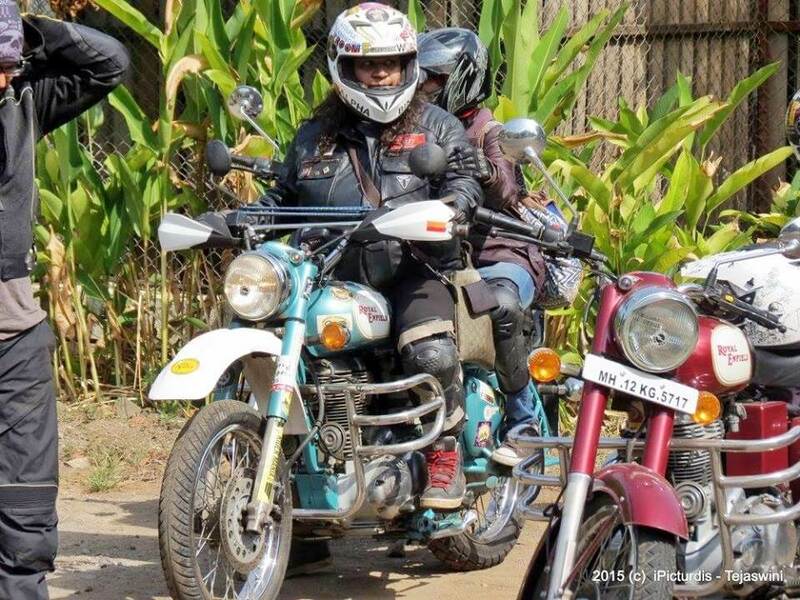 The journey of these women is inspiring lady riders of India to embark on a journey with their motorcycles without any fear. 1)Which is the most exciting Motorsport format for you? In the world of motorcycling, the format that excites me the most is dirt and rally racing on motorcycles. It’s one thing to go around almost on circles testing your endurance and another to feel the hard challenge of traversing new terrains and problems with the motive to win. So yes, as Flat Track is the flavor of the session would definitely like to explore more of that. 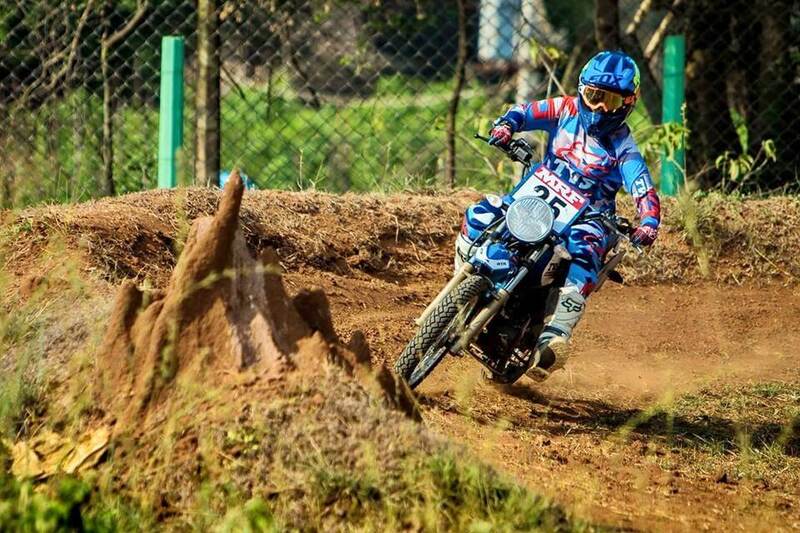 Urvashi kicking some dirt on a flat track. 2)Talking about Motorcycles, which motorcycle has given you the best memories? Which motorcycle do you suggest for a beginner female bike rider in India? My Royal Enfield Classic 500 has accompanied on the majority of my escapades and given me the best memories. She has broken down majorly only once in our journeys and has taken me to the mountains and to the southernmost tip of India. It all depends on your comfort and confidence, you can even begin with an RE Classic 350 or a Thunderbird as it’s a good option for touring, when you go for a smaller cc ride, as your riding improves, you tend to think of moving to a bigger bike anyways. But if you still want to go for a lower cc, stunner, Yamaha R15 and gladiator, and pulsars are reliable bikes. 3)Since you are tour a lot, what are the most important things a person should keep in mind while touring long distances on a motorcycle? Remember that you don’t own the road, you are sharing it with other travelers. Carry smart and don’t overload your luggage, it’s always smart to carry a sleeping mat or tent + first aid and emergency utilities such as a toolkit, some dry snacks, a knife (not for violence) and your hydration pack. Keep track of your fuel mileage, your air pressure as well as your own health. Stop if you’re drowsy or hungry as it’s better to be freshly minded while riding. Be friendly with the locals and don’t hesitate to ask for assistance if such as situation comes. People are good, don’t forget that. All set to leave kilometers behind. 4)How did you come up with the idea of starting The Bikerni and how has it grown until now? 14 years ago, when I started motorcycling, I remember how people looked down upon women motorcyclists. Men couldn’t fathom the fact that we could ride as well as them and even better. There were times when I had to physically save fellow riders from men who tried to eve-tease and even molest them. That’s when I put my foot down and started ‘The Bikerni’ in 2011 – A path-breaking movement for female bike riders in India that now stands at 1000 active members. What gave me immense strength was my motorcycle that didn’t ask me not to ride it being a woman. All it took was my urge to break barriers of judgments supported by my unbreakable passion for riding. all over India and give them the chance to go on adventures. 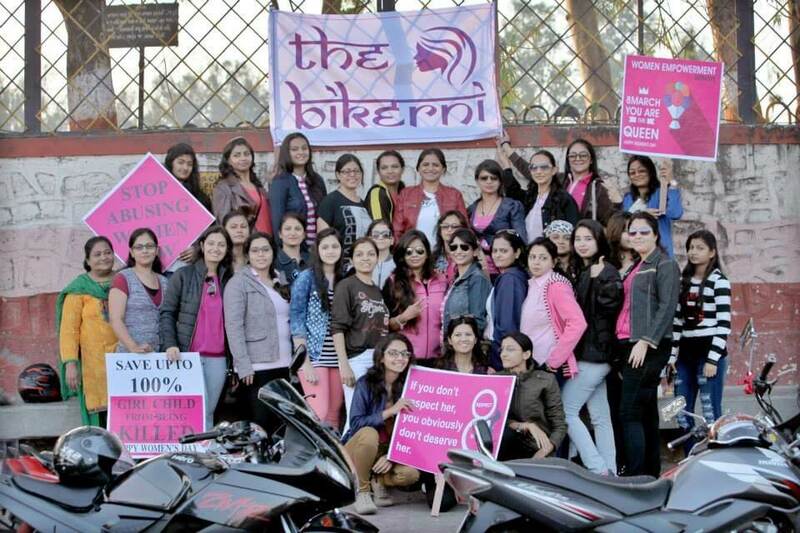 So in Jan 2011, I kick-started The Bikerni, and now we have more than 1400 members and 14 chapters. A few members of The Bikerni. 5)Where here are you eager to go next? Do you have plans for international rides coming up in future? The only place that is literally untouched in my map is the North East, and I plan to explore the North East on motorcycles and cover it on my blog. The reason why it will be revisiting my roots is that my mother is from the state of Mizoram, of royal blood, she’s from the Chawnghtu Clan (who were headhunters and one of the major clans of the state). She got wedded and went away with my father, an Army Officer posted in Mizoram for jungle warfare training, when she was 16 and reconnected with her family years later. My mother is too weak to travel due to her health and always urged me to reconnect with my relatives there and know my roots. 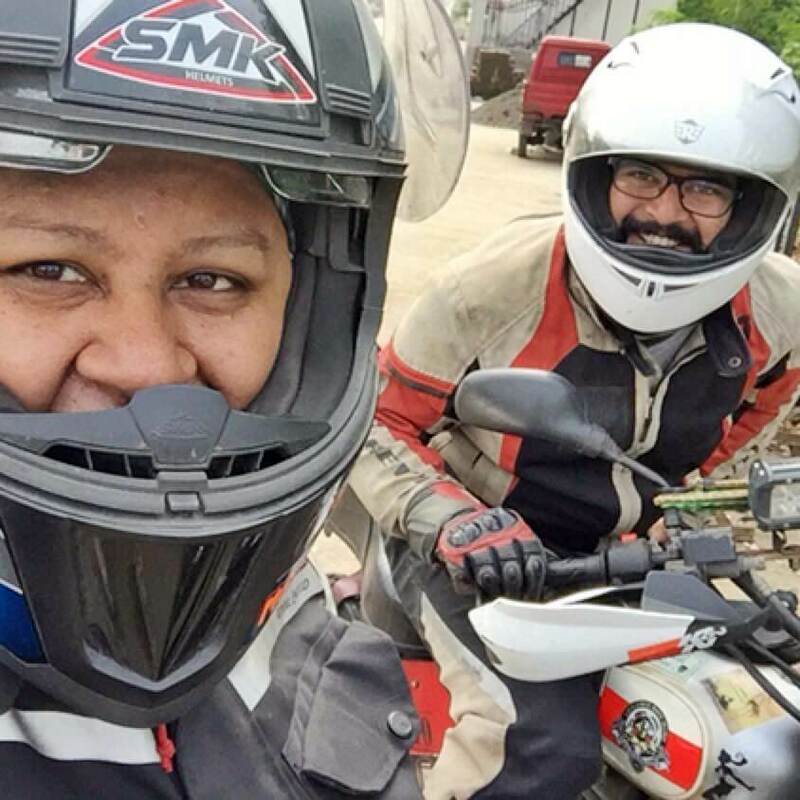 So, this 15-20 day trip will cover the beauty of the North-East and my journey of bonding better with my riding partner and husband, Sourabh and a journey into my origins from the maternal side. Multipotentialite is what 26 years old Shreya refers to herself as, and we don’t disagree a bit. 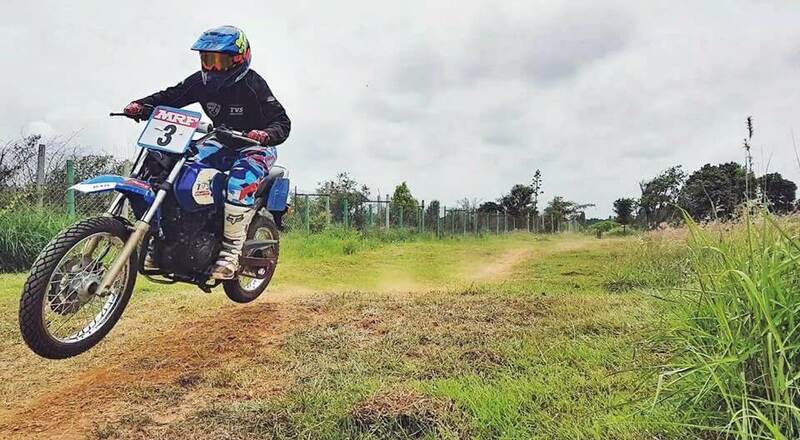 Shreya Sunder from Bangalore is the first women to be a part of any racing team in India, and also the first female rider in India to participate in the Indian Rally Championship. Apart from her active a participation in Motorsports, Shreya is a professional singer and an Interior Designer by Profession. 1) Hello Shreya, first of all, congratulations for your most recent achievement i.e securing 2nd position in the Indian National Rally 2017, can you tell us how you got into rallying and what inspired you to take the beaten path? Motorcycling had me hooked on right from the first time I rode one, probably when I was 17. I’ve since then traveled a lot on motorcycles. I learned more and more and the curiosity and urge to get better kept growing. I started doing a lot of dirt and off-road rides and wanted to explore more robust and varied terrains. 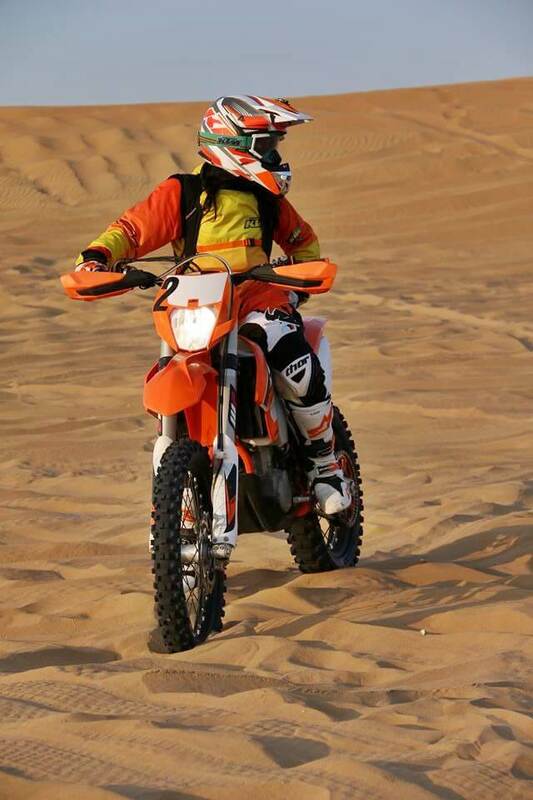 I then had the opportunity to participate in the KTM Adventure tour in Dubai, which was mostly riding a KTM 450 EXC on the desert dunes. It helped me learn a whole lot of new things for understanding the motorcycle and techniques of riding on terrain like that. 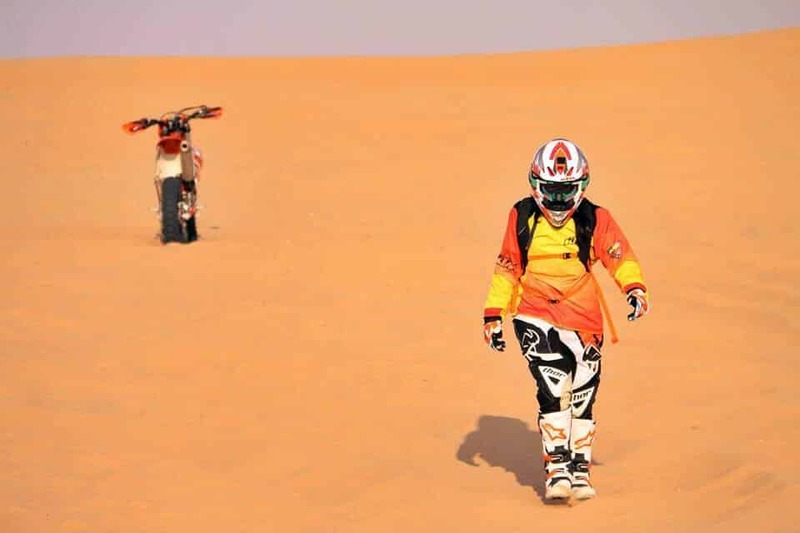 Finishing the ride across the dunes was a great learning experience for me, and it was `after that tour in Dubai that TVS Racing spotted me and my association with the team began. Since then I have been racing as a rallyist representing the TVS Factory racing team in the Indian National Rally Championship. After taming thr KTM 450 EXE on sand. 2) What would you like to tell females bike riders in India aspire to be in motorsports? One of the biggest things that hold us back is the fear of trying something that’s looked upon as unconventional. I believe, once we decide to face our fears and get out of our comfort zones, half of the battle is over. Motorcycling has always been associated more with men, but not anymore. Yet Of course, in India, Motorsport still needs a lot of support, more people need to be encouraged, especially lady riders of India. 3) I know we all come across one or more such moments on our motorcycles where we feel proud. 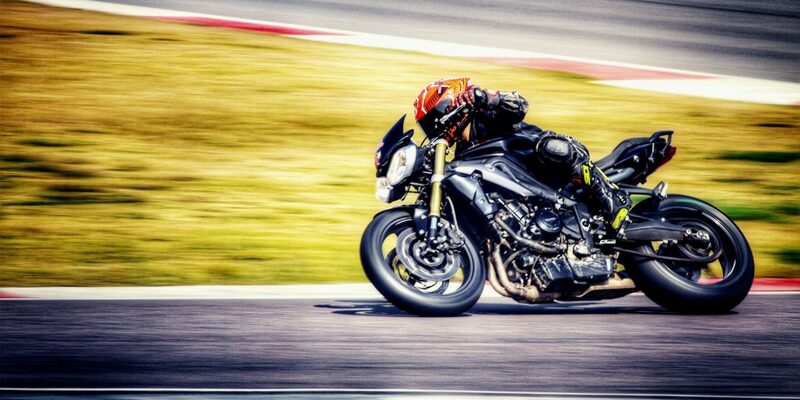 Can you tell us about the most cherished moments that you came across in your life because of motorcycling? There’s never a bad experience when you’re on a motorcycle journey. Each one is unique and beautiful in its own way. But my first solo trip to the Himalayas will always remain extremely special. 4) I also heard that you are passionate about singing, tell us more about that. Are you currently working on any songs? And what all projects have you completed earlier? I’ve been immensely passionate about music ever since a child, and I learned Indian Classical Hindustani and Carnatic music. Be it performing or listening, varied genres interest me. From playing a lot of blues and jazz to singing for a couple of Kannada films – Operation Alamelamma and Chamak, music has always had me entirely consumed. The song Kanna Muchche Kaade Goode from the movie Chamak is a recent one sung by me and is extremely special to me. Apart from playback, I’ve also performed as an individual artist in the past and currently working on songwriting and my own compositions. 5) Who is your favorite motorcyclist? Being a rally rider, whom do you admire the most, a MotoGP rider or a rally rider? Can’t choose between them both. Rally and track racing both challenging in their own ways, and I follow both very carefully. There’s Many of them I admire in the sport, really can’t pick just one. Valentino Rossi has always been a favorite among the Moto GP riders. Rally riders, there are many I look up to. Laia Sanz being one of them. I hope these tales of female bike riders in India inspire you and give you the will you need to pursue your dreams. The story of Kalyani, Urvashi, and Shreya teaches us that we only grow when we face our fears and our success stems from the very soil where our worries lay bare. Opportunities come knocking at your door when you decide to push well past all cliche. NextKawasaki Ninja 400 launched in India – Check out price, specs, features.